Hey Freebs! Mary from the FCF Team here with some of my best tips for beating allergies, and specifically this time of year, FALL allergies! My kids and I all suffer from seasonal allergies and Fall is one of the hardest times for us. Over the years we’ve picked some tricks for preventing flare ups as well as treating them and today I’ll be sharing a few of my top tips! 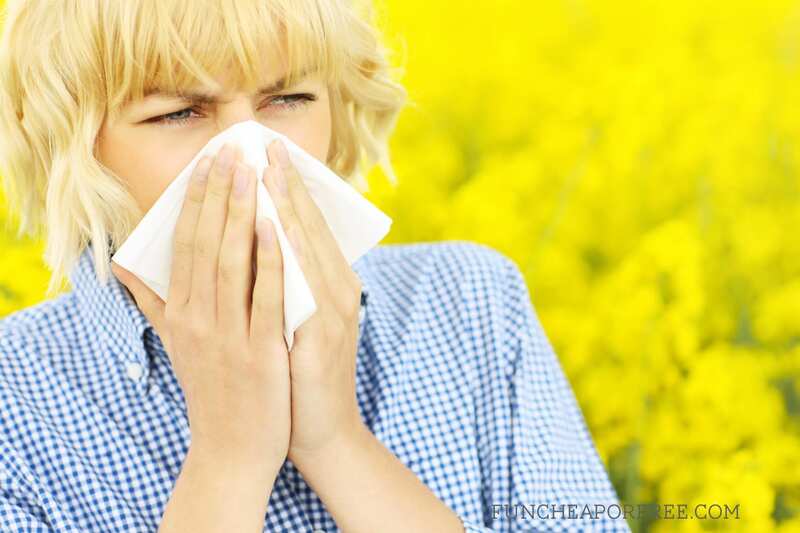 One of the best and easiest ways to keep allergens at bay is to limit your exposure to them! It may sound like a challenge but a few small lifestyle changes can make a huge difference. Allergists all agree that making your bedroom as allergen free as possible should be top priority. Invest in allergen-proof mattress covers, (like these ones which you can snag at a HUGE discount right now), limit drapes and carpet as much as possible, and wash sheets weekly if possible. My second tip is to stay healthy! We take a multivitamin and probiotic daily as part of our “stay healthy” routine. If I feel a cold or bug coming on I’ll whip up one of these vitamin c fizzy drinks too. My third tip is all about natural allergy relief options. A sinus rinse can be a great way to relieve congested or stuffy noses. If your child isn’t quite ready for the full rinse experience try a saline spray. Many of us run our heaters during the winter making the air dry which can cause nasal irritation and these saline sprays do the trick. Another great tip for nasal/throat/chest congestion is to sleep propped up. Pick a couch, a recliner, or add a couple extra pillows (or even this pillow prop) to elevate your head a bit. It can help with post-nasal drip and is also a lifesaver if you or your child have any kind of sinus or ear pressure. Pair it with one of these non-medicated nasal strips and you’ll set yourself up for a better night's sleep. 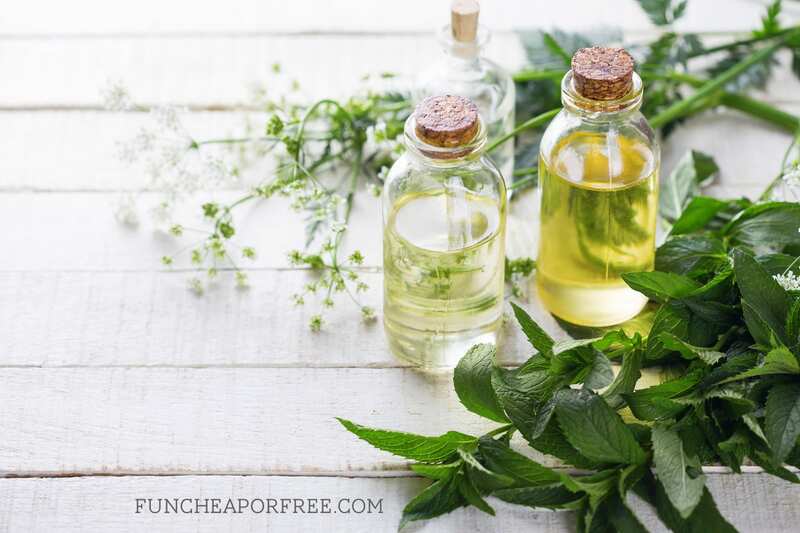 There are some great DIY at home tricks using essential oils too! If you want to keep it super simple take a large bowl, fill it with water, then heat until hot, about 2-3 minutes (only an adult should handle the bowl as you want the water very warm). After it is heated add 1 drop melaleuca essential oil. Sit at a table and place a towel over your head and the bowl. Voila, you’ve just created your own personal steam room! Another great option is to make a batch of sinus bath salts with 1 cup epsom salts, ½ cup baking soda, and 3-5 drops each of melaleuca, eucalyptus, and/or peppermint essential oil. Mix it all up and store in an airtight container. When you’re ready pour a bath as usual and sprinkle in some salts for a nice soothing bath. 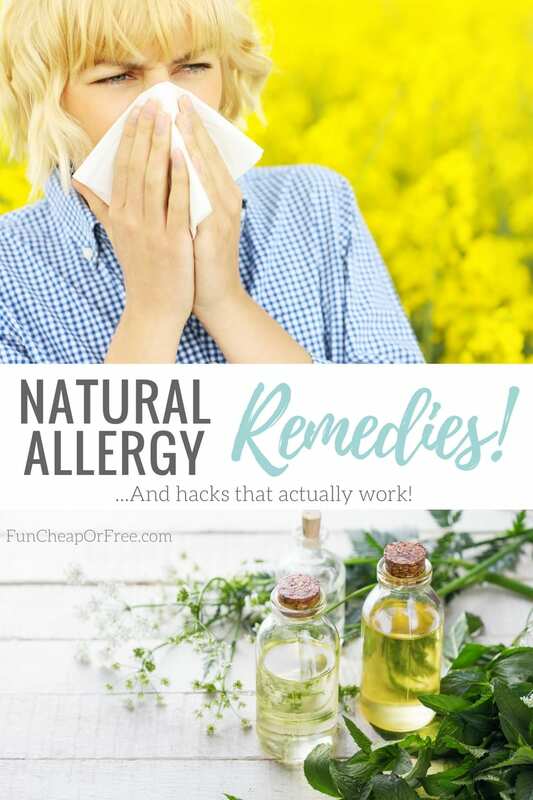 If these tips don’t provide relief or you are looking to treat allergies with medication have no fear! There are tons of options from tablets and capsules to medicated nasal sprays, all geared towards helping reduce your body’s allergic symptoms and reactions. You will want to be sure to consult with your doctor and find the best fit for you! Hope that helps! Thanks Mary! We don't suffer with allergies in our house (*knock on wood*) so I'm grateful to Mary for being our resident Freebs Allergy Specialist! Here's a quick budgeting tip. Fall/winter is the time for sickness! My best advice is to open a Health Savings Account, or HSA. I cover this in-depth in my Budget Boot Camp program (going on sale TOMORROW! Hint hint!) and also in my 7 Bank Accounts post. You can open a formal HSA through your health insurance company, employer, or bank/credit union – if you quality for one. Any money you put in that account is tax-free, so it's a HUGE blessing! Stock a little away each month in the account, so when you have a co-pay, medical bill, or even trip to the pharmacy, you pull out your cute little HSA debit card and pay for it with money you've already set aside, so it doesn't completely drain your grocery budget for the week! If you don't qualify for, or can't open, a formal HSA, just open a separate checking account and make your own HSA! The money won't be tax-free, but the benefits of setting it aside are the same. Medical expenses get paid for from the medical bank account, and then doesn't mess up your spending elsewhere. Thanks again for sharing Mary! What are your best allergy tips? Please share if there are any we missed! I think that if the allergy symptoms are bothersome and you can’t find relief that you should visit an allergist. Allergists are great as they can pinpoint what your exact allergies are which can be helpful for avoidance. They can give recommendations on the best medicine to treat your allergies along with other products to use, and you may even qualify for allergy shots which help you to become less sensitive to the irritant. Great tips, thanks for sharing! I like that you said that a few small life style changes can make a huge difference. If I was having problems with allergens then I would want to take care of the problem as soon as I can. It might be a beneficial effort to talk with a professional.